Mix butter/margarine, lots of garlic and salad dressing together. 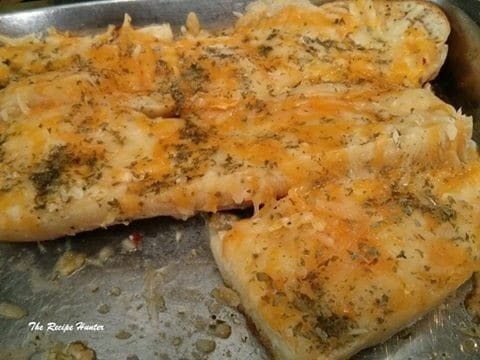 Place bread cut-side up in a baking sheet. Spread butter mixture over the bread. Top with shredded cheese and parsley. Bake, uncovered, at 375 degrees till the cheese melts and bubbly.